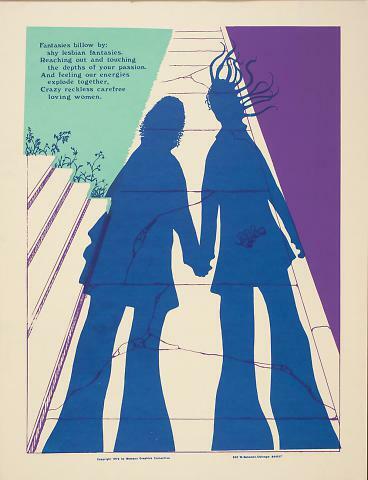 inscription: Bottom edge has "Copyright 1972 by Women's Graphics Collective 852 W. Belmont Chicago 60657." 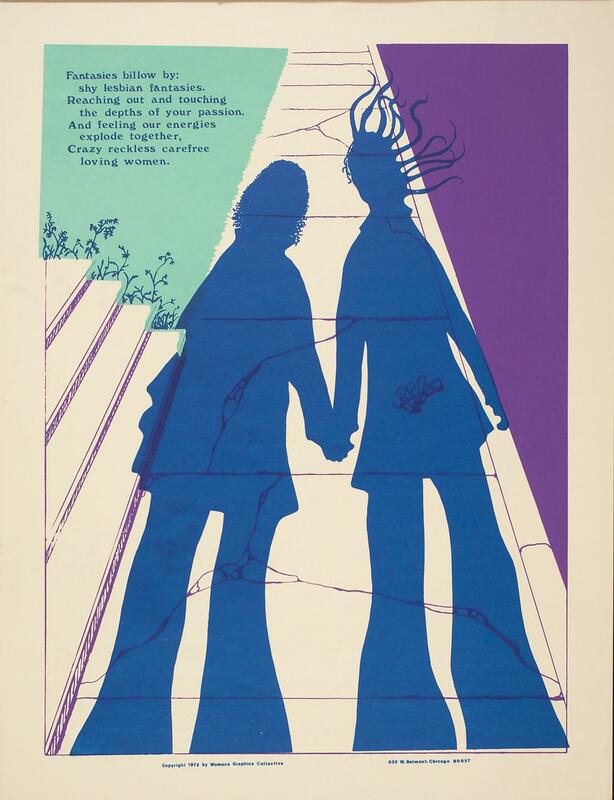 Poster has two large blue female shadows in the center. The shadows are over a sidewalk with cracks and leaves and stairs on the left. The right side of the sidewalk is purple and the left side is light turquoise. In the turquoise area is blue text. It reads, "Fantasies billow by; shy lesbian fantasies. Reaching out and touching the depths of your passion. And feeling our energies explode together, Crazy reckless carefree loving women."